A view of the Century of Progress Exposition, pictured on a contemporary travel brochure. 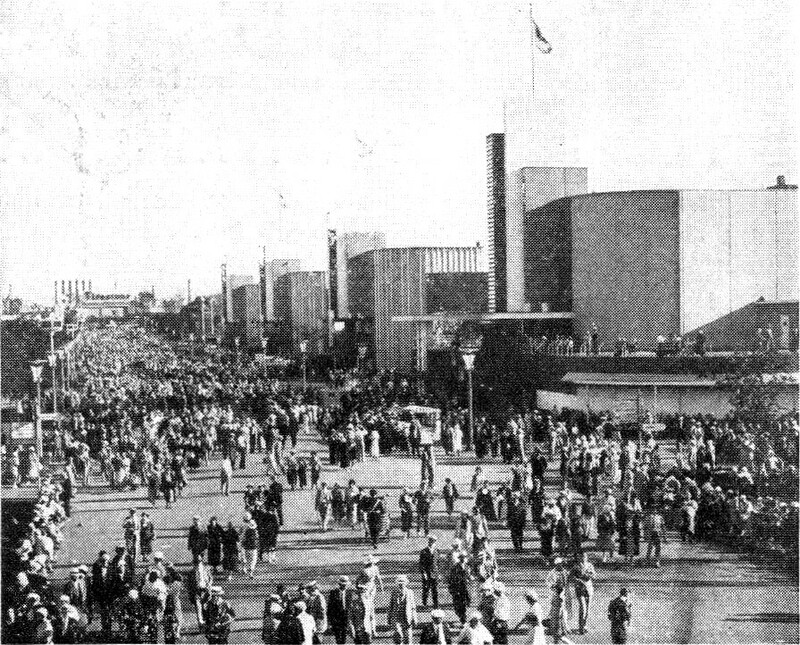 November 12 marks the eighty-second anniversary of the date that the 1933 Chicago “Century of Progress” World’s Fair was intended to close, though it proved so popular that it was continued through October 31, 1934. It ran for more than seventeen months from its opening on May 27, 1933. This beautiful Royal Blue Columbia record (pressed in blue shellac) was presumably sold as one of the enormous multitude of souvenirs available at the fair (which I also collect, in addition to all these phonograph records). Columbia 2745-D was recorded on January 10, 1933 in Chicago, Illinois, about four months before the World’s Fair opened to the public. Art Kassel was a popular Chicago-based bandleader recording somewhat extensively, beginning in the 1920s and continuing until at least the 1940s. 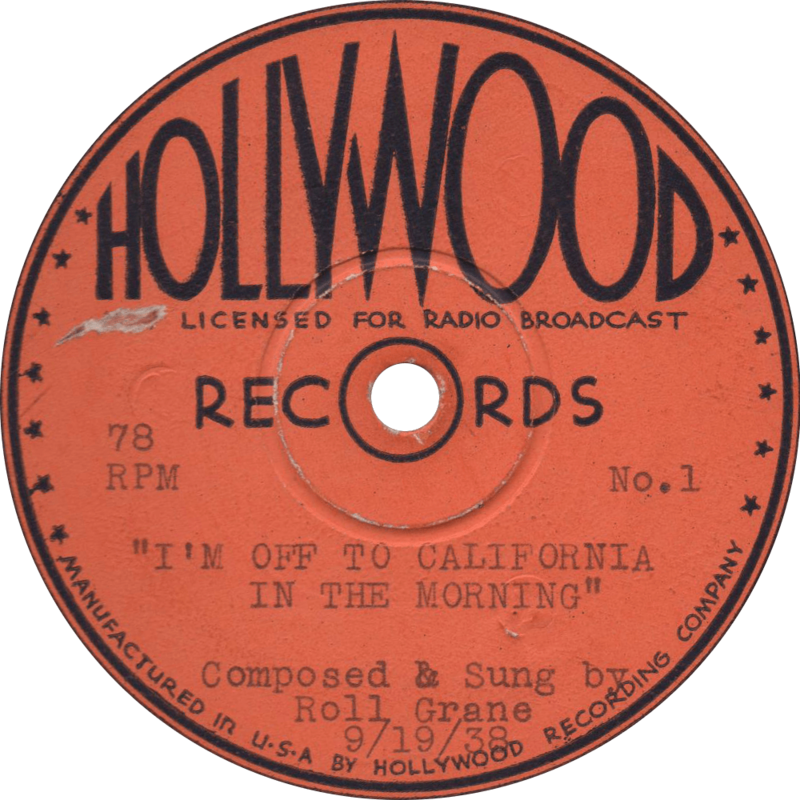 The official song of the Century of Progress Exposition is fully titled “(Where Will You Be) In 1933”, though the label only lists the latter part of that. This side is somewhat typical of the “cheer up” songs so prevalent in the first few years of the Great Depression, complete with Ted Lewis imitator. 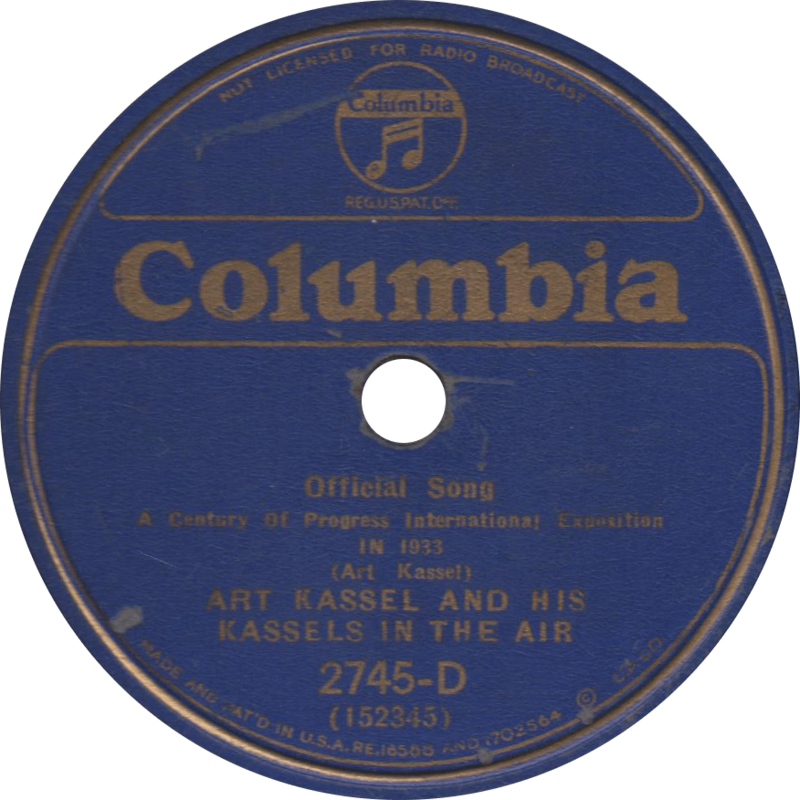 In 1933, recorded January 10, 1933 by Art Kassel and his Kassels in the Air. John Philip Sousa’s “A Century of Progress March” bears the additional historical distinction of being the great march composer’s last composition before his death in 1932. 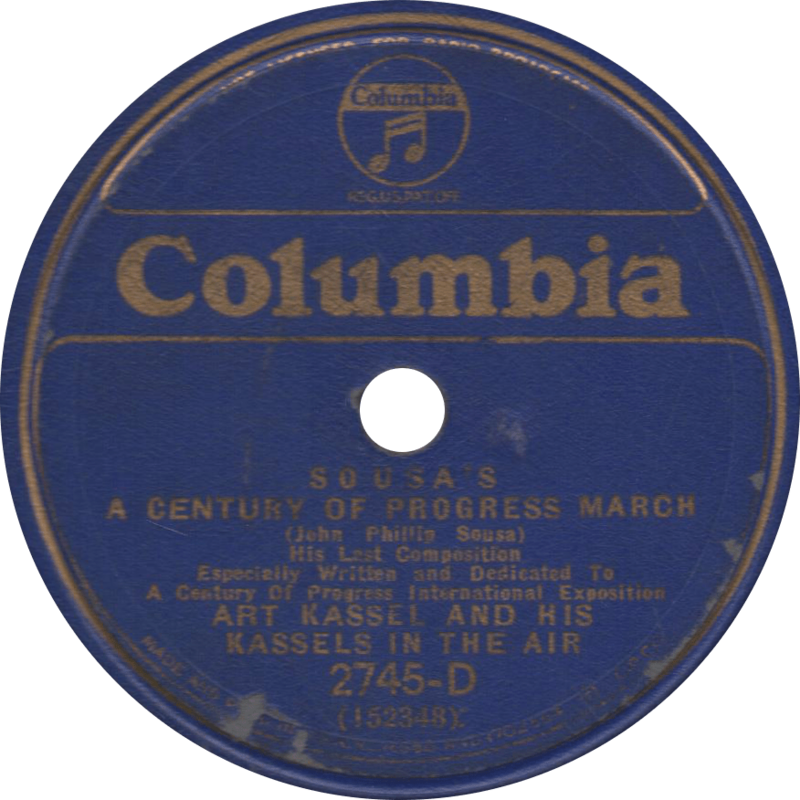 A Century of Progress March, recorded January 10, 1933 by Art Kassel and his Kassels in the Air. Updated on May 27, 2017, and with improved audio on June 6, 2018.